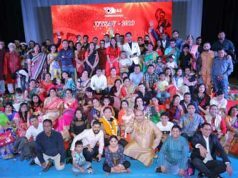 Singapore: Odia Society of Singapore celebrated Ganesh Puja 2017 in a grand manner on 26th August 2017. The event was held at Kent Vale (Communal Hall), Singapore. 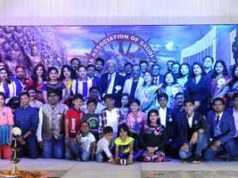 Around 150 Odia Society members participated whole heartedly in the event and provided their help and support in all activities like Decoration, Prasad preparation, Food arrangements and Art & Painting competition. Mr. Sambit Mishra and Mrs. Sarmistha Mishra were the Karta for the Puja. 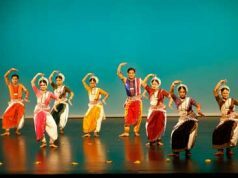 The Decoration was taken care by Bijayalakshmi Mohanty, Sharada Sahoo, Swagatika Mishra, Reela Rani Patro, Pratyush Hota, Soumya Pal, Shakeel, Rakesh Pattnaik and others . Special Thanks to Dr. Bijayalakshmi Mohanty for preparing breakfast for volunteers who reached venue early in the morning. Priest and Puja preparation was taken care by Dr. Sanjib Panda, Sunil Senapati and Subrat Nayak. Prasad was prepared by Bijayalakshmi Mohanty, Sarmistha Mishra, Saradha Sahoo, Renubala Sahoo. An ‘Art and Painting competition’ for children below the age of 13 was also conducted during the event. Theme for the painting was ‘Lord Ganesh’. More than 30 kids participated in the event. All kids were given token gift to appreciate their efforts. The competition arrangements were taken care by Subrat Nayak , Soumya Pal and Sadyasnata Patnaik. The society newsletter ‘Singodia Khabara’ was inaugurated during the event. Mr. Debidutta Samantaray, Executive Committee member highlighted that the newsletter will bring the community members closer to each other as the newsletter would cover the key happenings of the society and its members on a regular basis. Key contributors in preparation of the newsletter (& Presentation Deck) are Debidutta Samantaray, Pratyush Hota, Deepan Garnaik and Subrat Nayak. Article contribution was from Debidutta Samantaray, Soumya Singh, Dharma Acharya, Soumya Pal and Sadyasnata Patnaik. The Ganesh Idol Bisarjan was conducted with participation of more than 50 Odia men and women, who all went together for the Bisarjan in a chartered bus and private cars. This is the first time such large number of people went for Bisarjan. Bisarjan arrangements were taken care by Bibhuti Mallik, Niranjan Sahoo and Soumya Pal. Special Thanks to Mr. Kalpataru Das for sponsoring the Idol and Puja expenses. The event concluded with thanks conveyance to all members by the Executive Committee of the Society.